The Cold War was a crucial conflict in American history. At stake was whether the world would be dominated by the forces of totalitarianism led by the Soviet Union, or inspired by the principles of economic and political freedom embodied in the United States. 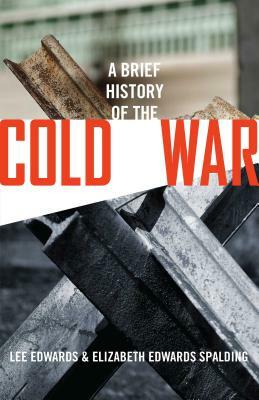 The Cold War established America as the leader of the free world and a global superpower. It shaped U.S. military strategy, economic policy, and domestic politics for nearly 50 years. LEE EDWARDS is a historian who has written extensively about the Cold War and U.S. foreign policy. He is the author of biographies of Ronald Reagan, Barry Goldwater, and William F. Buckley Jr. and editor of The Collapse of Communism, among many other books. He is the distinguished fellow in conservative thought at The Heritage Foundation, chairman of the Victims of Communism Memorial Foundation, and adjunct professor of politics at the Catholic University of America. ELIZABETH EDWARDS SPALDING is Associate Professor of Government at Claremont McKenna College, where she teaches U.S. foreign policy and American government and directs CMC's Washington, D.C., program. The author of The First Cold Warrior: Harry Truman, Containment, and the Remaking of Liberal Internationalism, she has also contributed to several volumes on the presidency and American foreign policy and written for the Wilson Quarterly, the Journal of American History, Comparative Political Studies, and Presidential Studies Quarterly.